Part five in this week's quick tour of the most essential varietals grown and made in Washington. A decade ago there were fewer than 20 Washington wineries making syrah. At the time that represented an explosion of interest in what had been a rather obscure grape. Bearing acreage was up ten-fold and on track to double again within a year. At 12 years of age, the first commercial syrah ever made in Washington (from Columbia winery in 1988) was alive and still drinking well. Today I would guesstimate that roughly half of Washington’s 660+ wineries are making syrah, and most produce multiple bottlings. My annual Top 100 list seems always to be heavily weighted to syrahs – unintentional, but simply the result of looking at the top scoring wines of the previous year. Syrahs score very well. And yet with few exceptions – Charles Smith wines, Cayuse, Betz and one or two others – syrah has become a really tough sell. The more it gets made, the less consumers seem to want it. There are many theories as to why – a lack of good examples priced under $15; uncertainty as to what Washington syrah is supposed to taste like; and the availability of many very fine, inexpensive, syrah-based wines from southern France. I do not see a clear future for the varietal in Washington, but I am more than certain that the grape thrives here. It is exceptionally expressive of place. Yakima valley syrah, Wahluke Slope syrah, Walla Walla valley syrah, Red Mountain syrah, Horse Heaven Hills syrah – all different and distinctive in their own ways. More than any other grape in Washington, syrah lends itself to multiple bottlings (including many single vineyard offerings) for exactly this reason. The grape seems to have a chameleon-like ability to reflect its specific growing conditions – cool to hot – without ever becoming too green or too jammy. Winemakers such as Doug McCrea, Christophe Baron (Cayuse) and Charles Smith (K Vintners) use this to their particular advantage, offering different bottlings that seem genuinely distinct from each other. Benchmark: Balboa 2008 Mirage Vineyard Syrah; $18. This captures the grape’s complexity and earthiness without turning tannic. Raspberry fruit is backed by earthy flavors and peppery herb. Not the sweet and jammy style of syrah you find in California, but plenty of texture and detail. Icon: Betz Family 2007 La Serenne Syrah; $55. This is 100% varietal from the Boushey vineyard. If I had to name a favorite syrah vineyard in the state, it would be Boushey. This new release is almost impenetrable, but the gorgeous aromas portend a glorious wine with appropriate bottle age and/or breathing time. A dark, dusty mix of black fruits, black olives, black coffee and licorice, with such density that it’s almost impossible to separate out all the fruit layers. 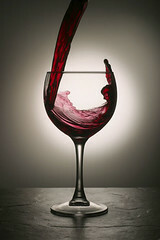 I love Syrah, I think that it is great varietal that has all the flavor and aroma profiles I like in wine. And I like more of the fruit forward, smokey, anise types. In Washington, you can get so many different flavor profiles from Syrah and I believe that wine consumers will start to have fun trying them. I do think there is a future for this grape in Washington. Great 5 day write up! Thanx Paul. Another reason may be that many of us who have cut our teeth on merlot, cab, and blends of the 2 aforementioned grapes just dont like syrah. With all of the press that syrah has received I have tried many times to find syrahs from somewhere in the world that really excite me. It has been a miserable and expensive failure. I finally broke down this year and bought a couple of the betz 2007 syrahs thinking that this would finally introduce me to what I was missing with all of the hype over syrah. I am sad to say that I wasted $300.00 that would have been much better spent on the cab or merlot blends from Betz. Live and learn. I have noticed recently that Andrew Will has cut their syrah to $20.00/bottle. I think that should tell winemakers pretty much everything that they need to know about consumer demand for syrah. If Chris Camarda cant pull it off who can? Paul, while there are others that should be on the runner-up list behind Boushey for best Syrah vineyard, I will throw my hat into the ring for Les Collines Vineyard in Walla Walla. So many top-notch Syrah using fruit from that vineyard, including Gramercy, Trust, Amavi, Kerloo, and Rasa to name a handful. Especially for such a young vineyard, the potential there is enormous. Loved the series this week! Thank you all for the comments and kind words. Sorry I was late getting remarks posted. I spent 13 straight hours on the road on Friday driving from Sacramento to Seattle in horrendous rain. I'll keep everything current from now on. Glad this 5-part series was so well received. I'll do more - what topic(s) would you like to see me tackle? A number of first-rate WA producers have committed to Syrah for the long term, like Alma Terra, Betz, Cayuse, Gramercy, and Syncline, so this can't be a bad thing. Nevertheless, many strike me as tasting more like cough syrup than like their northern Rhone counterparts, and that IS a problem. To answer your question, I'd like to see some discussion of the age-worthiness of WA wines. This has come up before, and I doubt that I'm the only one who has been disappointed with a bottle that I've stored perfectly for 3-5 years only to find that it's already WAY over the hill. Art, will do, sometime soon. If you are buying WA syrah that is over the hill 3-5 years after purchase, you are obviously buying the wrong syrah. I've had tons of syrah from the late 90's and early 2000's that has been youthful and fantastic. Stick to certain wineries and you'll never be disappointed. Betz, Cayuse, older CV bottlings from Dunham, Tyrus Evan, K Vintners. Also, no cough syrup in that bunch! FYI Reynvaan (which is very good) is made by, and sourced from, Christophe Baron at Cayuse. For that matter, many of the K Syrahs have been sourced from, and made at, Cayuse. Foolish is to continue to believe the hype and chasing $50.00 bottles when you have had no luck in the past despite repeated attempts. From that standpoint I agree that I was foolish re the betz syrahs and I am now left with bottles that I do not enjoy as a result. I in no way have to acknowledge that Betz Syrah is a well made wine because I dont like it. You can acknowledge whatever you would like and feel free to quote some reviews and spend $50.00/bottle. However if you try to take my clos de betz or betz pere de famille you can have them when you pry them out of my cold dead hands. If you look at how fast the betz syrahs sell out compared to the merlot and cab blends it seems that others would agree. Furthermore the fact that AW is discounting their syrahs, I have recently found long shadows syrah at costco, and PG states "syrah has become a really tough sell. The more it gets made, the less consumers seem to want it." tells you something. Foolish is making more of something people dont want and then wondering why it doesnt sell. The wines you suggest are getting chased due to their high numbers and rock star wine makers in certain wine publications and top 100 lists (no offense PG I am a big fan of the year end top 100) which is true for any varietal. It in no way suggests increased traction with consumers for syrah.